The release of Rick Ross's Mastermind has been delayed until sometime in 2014, but the MMG bawse has at least come through with a pre-release preview. 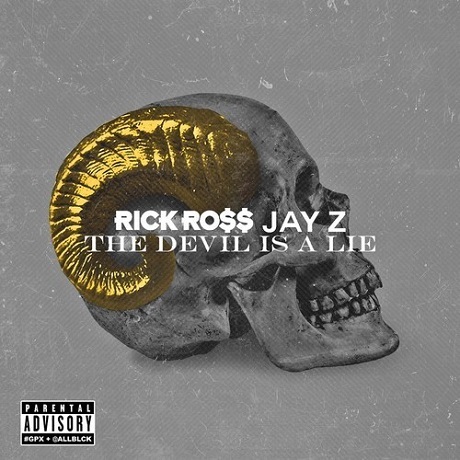 The Jay Z-equipped "The Devil Is a Lie" has just been let loose to keep fans happy till the album drop. The beat hits hard with a top-shelf brass loop and soulful vocal samples, all of which supporting Rozay's details of getting money, rolling with nymphos, and being able to drop half a milli on the weekend. Jay Z jumps on the back end, bringing bars about mixing drinks, keeping ties to the Illuminati and more. Bow your head and give the boom-bap single a stream down below.